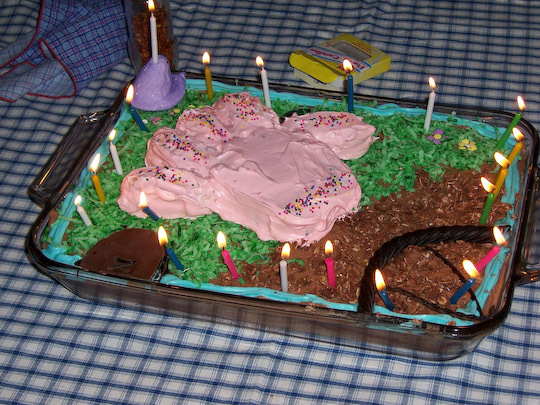 Rachel made this amazing lost glove cake for my birthday. Not only is it terribly amusing, it’s also quite delicious. Click the picture to go to flickr where I’ve added notes to draw attention to the various features of the cake. Very nice cake, and tasty looking too. It must have taken the person who baked it hours to make.